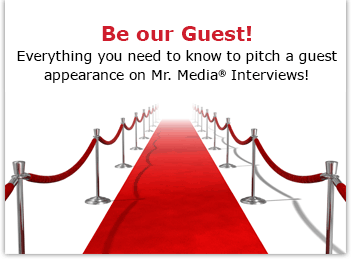 Watch this exclusive Mr. Media interview with detective fiction novelist Steven Gore, author of the thriller ‘A Criminal Defense,” by clicking on the video player above! 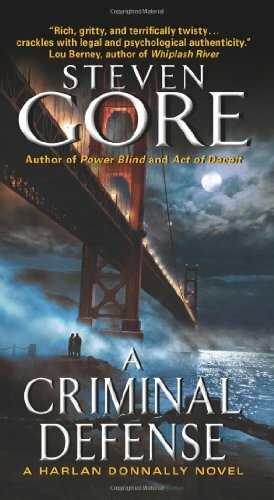 Order ‘A Criminal Defense: A Harlan Donnally Novel’ by Steven Gore, available right now at a great price by clicking on the book cover above! When I just can’t make sense of the world around me, I often turn to detective fiction for escape. The stories are complicated, the plots intricate, the characters quirky and often more than a little mean, but sometimes it’s good just to be able to have a beginning, middle and, most importantly, an end to life’s little mysteries. If only real-life could wrap up its loose ends as logically as a Harlan Donnally tale! Novelist Steven Gore has become a good friend of this show over the last couple years even as his Graham Gage and Harlan Donnally series have gained traction in the hearts and wallets of readers. In addition to talking about his new book, A Criminal Defense, I’ll be reading a passage from it, too. “Mean Business: How I Save Bad Companies and Make Good Companies Great” by Albert J. Dunlap with Bob Andelman, available in print, e-book or digital audio. Order your copy now by clicking on the book cover above!